Patriot Day- On the Spot from KCBY-TV on Vimeo. 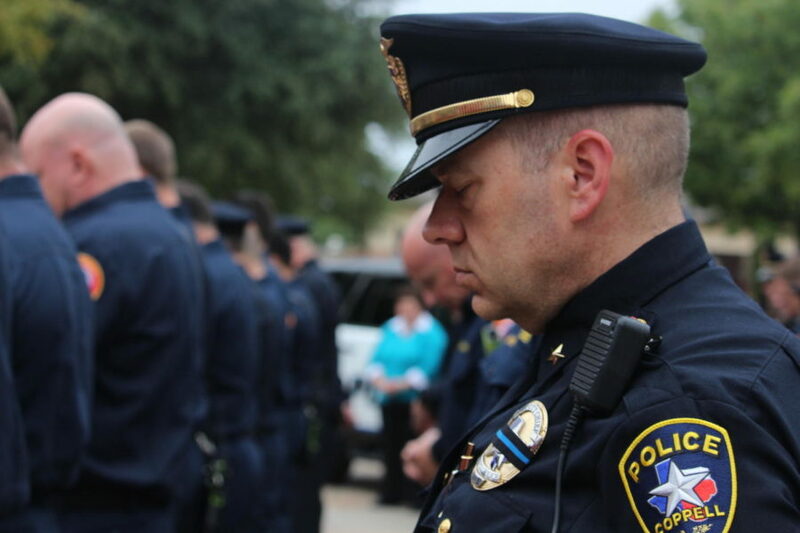 During the Patriot Day ceremony on the morning of Sept. 11, Coppell Deputy Chief Jim Cook bows his head in prayer with his fellow officers before Coppell Town Center Hall. In honor of the lives of those lost 17 years ago, a moment of silence is taken by the attendees to commemorate the loss of the victims and the bravery shown in the last moments of their lives during the 9/11 terrorist attacks. Before the steps of Town Center Hall on the morning of Sept. 11 stand police officers, firefighters, paramedics and citizens of Coppell gathered under the peppering of rain and gloomy sky to commemorate the legacies of those lost 17 years prior. 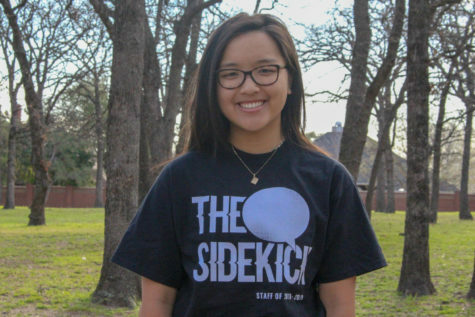 Coppell resident Maria Gaffner remembers that eventful day as if it had just happened yesterday. After the initial fear and bewilderment had passed, one of the only things the community had left was each other. The annual Patriot Day ceremony is simply another opportunity for connecting the community through commemoration. After the Pledge of Allegiance and ringing of the fireman’s bell as a symbol of coming home for those who died on duty, a prayer dedicated to the memories of the victims was said. For Coppell police officer Andrew Chmiel, who responded on 9/11 as a police detective for New York City, the continuance of the victims in the nation’s memories is the best way to honor them and to never let that kind of a tragedy happen again. The kinship shared between Americans on that fateful day can still be felt today, as citizens of Coppell joined together under the dismal sky for the sole purpose of honoring the victims. Coppell High School EMT/Pharmacy Technician teacher Gary Beyer, a former firefighter-paramedic and current paramedic, emphasizes the connection between Americans that rose from the ashes of 9/11. Despite the adversity that surrounds the date of Sept. 11, 2001, the purpose of this year’s Patriot Day ceremony was not only to mourn for the victims, but to honor their memories and vow to keep moving forward together as a community.